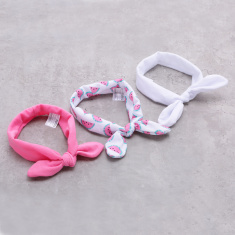 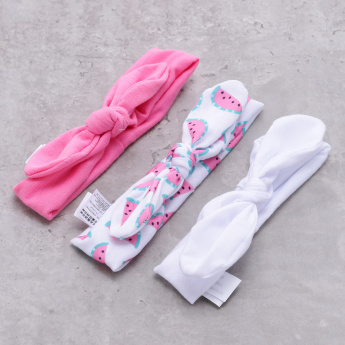 Surprise your little one by getting this set of three hair bands. The soft material will fit gently on the head giving a beautiful look to your darling daughter. Featuring a bow applique, this hair band looks striking.